Seamus Walsh Pharmacy : 1st. Morgan Lynch (3) 40 Pts, 2nd Darren Leufer (0) 39 pts, Gross Peter Ryan Jnr (5) 33 GPts, 3rd Neilus Buckley (25) 38 Pts b/d CSS 36 Pts. 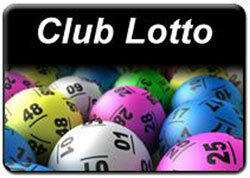 There was no winner of our lotto jackpot worth 2,700 euro. Numbers drawn were 3, 4, 26, 31. As we didn’t have any match 3’s, we had one lucky dip for 50 euro. Congratulations to Anne Treacy Snr. 1, Ger Nalty (26) 40; 2, Damien Coyne (4) 35; 3, Michael Casserly (19) 34; 4, Martin Casserly (14) 32. Away outing on Saturday, April 13. Timesheet will be completed at next Saturday’s final event of the season. Tee times from 11am to 12.30pm. Well done to PJ Murphy on a fine captaincy. Results. 1. G. Cunningham, V. Ryder and Ml. Fahy. 2. Ml. Niland, T. Treacy and F. O’Neill. 3.Rae Gilmore, G. Fahy, F.Grealy.